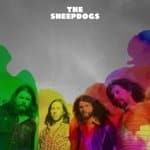 The pride of Saskatoon, The Sheepdogs personify making it on hard work and determination. Often referred to as 'a talented Nickelback', they formed in 2006 around guitarists Ewan Currie and Leot Hanson, Ryan Gullen on bass and Sam Corbett on drums. Before long the were playing all the hot spots on the prairies and writing some material. They financed some recording time on their own, and released a pair of indie albums - TRYING TO GROW in '07, and the next spring with BIG STAND. Their blues-based heavy sound prevailed throughout - mixing ZZ Top influences with Nirvana spontaneiety and had them touring the country from coast to coast, pushing heavy hitters like "Waiting For The Morning To Come," "The First Year," and "The Contenders" in what was becoming one of the hardest worked shows on the circuit. 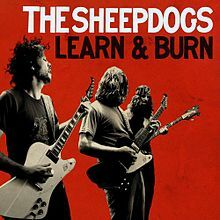 LEARN & BURN in 2010 was certified gold (50,000 copies in Canada), featuring their break-out single, the BTO-reminscent "I Don't Know," which peaked at #2 and #3 on Canada's rock and alternative charts respectively, while earning them their first gold single. The accompanying video also got good airplay at home, while helping establish them Stateside. An old-time boggie handle was spotlighted in the title track, while the lead-off "The One You Belong To" and "I Don't Know" showed an uncanny maturity in a band still so fresh on the scene. In 2011 they became the first unsigned band (and first Canadian group) to ever make the cover of Rolling Stone Magazine, beating out 15 other groups for the honour. Instantly on everyone's lips and in their ears, they released the Andrew Schlessinger-produced EP, FIVE EASY PIECES that fall, debuting at #7 on the Albums chart in Canada and eventually finding the top 40 Stateside. Another tour that took them across North America with some stops in the UK came on the heel of the single, "Who? "band became little screen darlings overnight, appearing twice that year on "Late Nite With Jimmy Fallon," as well as on "Project Runway" and "The Nieghbour's Dog." "Who?" was also featured in an episode that season of "CSI: Crime Scene Investigation" entitled "Tell Tale Hearts." They also performed at the Bonnaroo Music Festival in Tennessee and The Osheaga Festival in Montreal (days prior to finding out they'd been chosen for the Rolling Stone gig), and soon they were one of the hottest tickets around while the accolades starting coming. In between road trips with Kings of Leon and Robert Randolph & The Family Band, they picked up three CASBYs (Toronto awards showcase) in 2011 - for Favourite New Artist, Favourite Indie Album, and Favourite New Album. They also picked up Rock Album of the Year honours at that year's Western Canadian Music Awards. The following spring, as well as picking up the Juno for Album of the Year for LEARN & BURN, they also took home the awards for Single of the Year for "I Don't Know," and for Artist of the Year. Unfortunately, they had to have the doorstops mailed to them, as they were busy on tour in Australia with John Fogerty at the time. The single, "The Way It Is," had already topped the charts and was still in the top 30 when their self-titled album was released in September 2012. Critics hailed the record not only for Currie's grunge-tinged gravelly voice being harnessed, but for the bare bones, no frills and even less studio trickery that went into the production. A throwback in every musical sense, the Hammond B3 is unabashed and prevalent on tracks like the lead-off Southern sing-along "Laid Back" and the acoustic "Javelina," while "Feeling Good" was an all-out rollicking stomper. An extended bonus version of the album was available shortly after the original's release, this one with an acoustic version of "The Way It Is" and "Alright OK" and the new "Whocoustic." They kicked off the tour season shortly after the album's release, touring the American East Coast with The Buffalo Killers. Is Your Dream Worth Dying For?